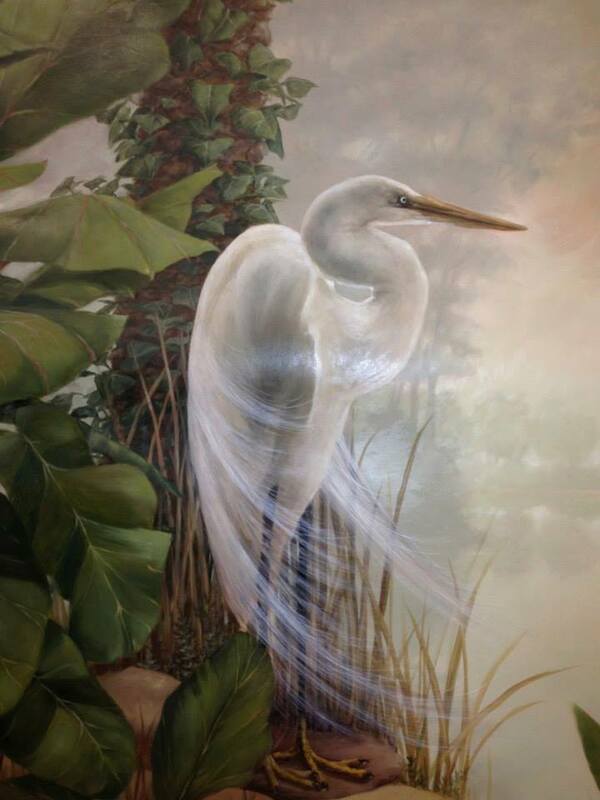 Painted in my Long Island City studio, these amazing egrets found in the low country of Georgia warmed me from New York's winter chill with their lush images of palm trees and tranquil misty vistas . My studio smelled of low tide and I was happy. 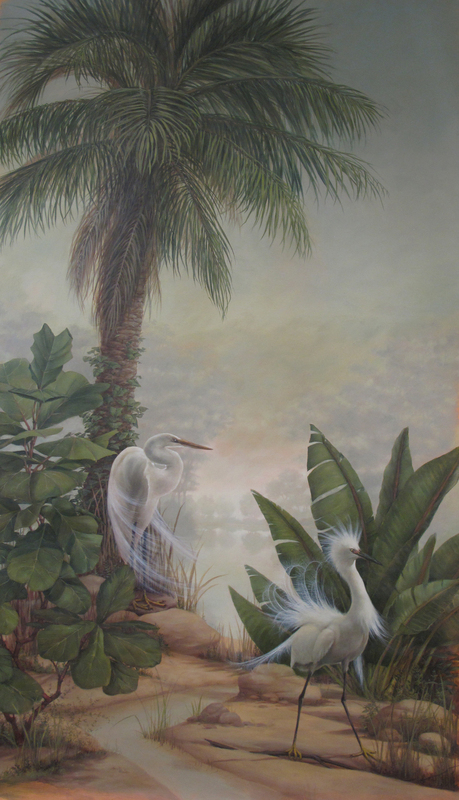 These 4'5" x 9' canvas, mounted on either side of a Goergian fireplace, draw inspiration from the sophisticated simplicity of Japanese screens while working to recreating the peacefulness of a setting sun on the bayou. This work is a balance between elements that settle back into the evening haze and those in the foreground that are explored in detail.